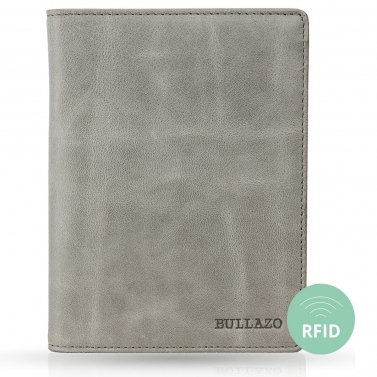 Discover now the world of elegant leather passport covers BULLAZO. Who doesn't know it? At the airport you are on your way to the flight and literally have no spare hand. The travel document to check in, the passport ready for the passport control and at the same time there are some notes for the reservations. At this point, we pay respect to everyone who keeps track of everything. 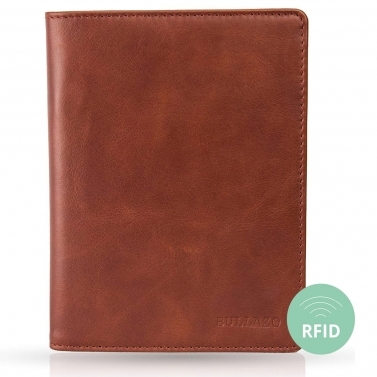 For all those who want to protect their documents, we have elegant leather passport covers. 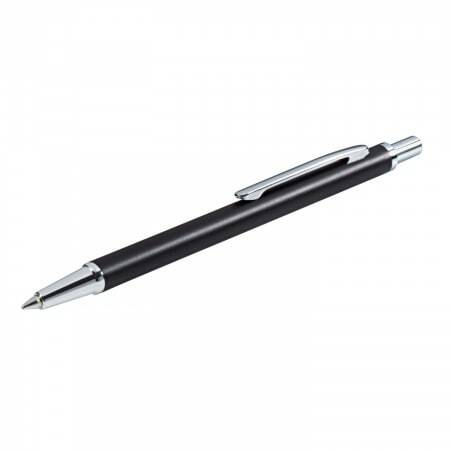 Currently there are two models made of the high-quality leather and as usual with RFID protection. This includes the PLANO MINI as a passport cover in A6 format. 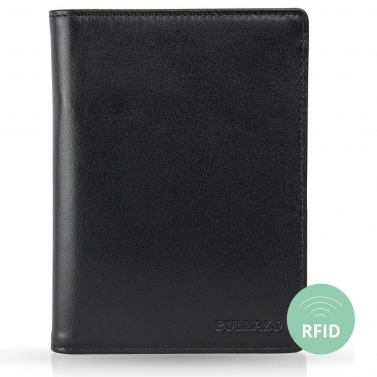 This is a little bigger than the passport and therefore offers additional space for cards, receipts and a small ballpoint pen. The PLANO CLASSIC is one of our bestsellers and is our classic leather passport cover. This offers enough space for all kinds of travel companions such as credit cards, photos, vouchers and even airline tickets. The leather passport covers are not only particularly practical travel accessories that keep all important travel documents safe. 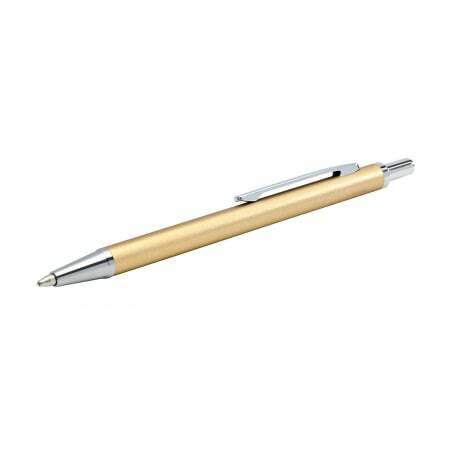 In the colours black, cognac-brown and grayish beige, they are also the ideal travel companion for business and private travellers and fit into any elegant, classic style. 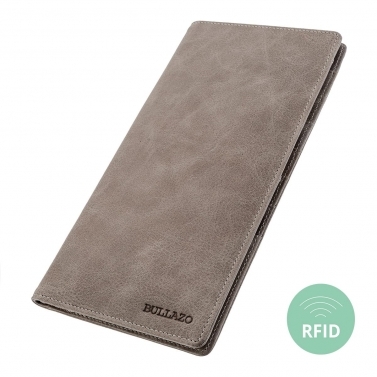 With the personalisation of names, initials or monograms by means of the engraving (link to the engraving page) the passport case made of leather becomes a personal one-of-a-kind item. Passport covers are also often chosen as gifts for friends, for your wife or husband, for business partners and business associates or for employees and customers. Names, telephone numbers, addresses or slogans - there are no limits to creativity. The personalised passport holder is certain that this is an accessory for life. The travel wallet passports are particularly eye-catching for passengers, colleagues and business partners. They impress with their high quality, which especially convinces with the high-quality and very soft genuine cowhide leather in combination with hard-wearing seams. Our business accessories classics are passport covers in black and cognac brown. 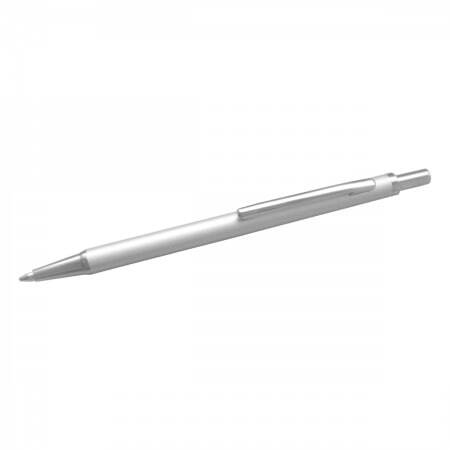 The PLANO CLASSIC is also available in the trendy colour grey-beige. If you are asked to answer spontaneously how many cards you use, you realize that there are really many of them. Credit and bank cards, customer cards and many more. There is a matching passport pouch with 10 card pockets and some big compartments. It is therefore suitable not only as a travel wallet, but also as a storage folder. 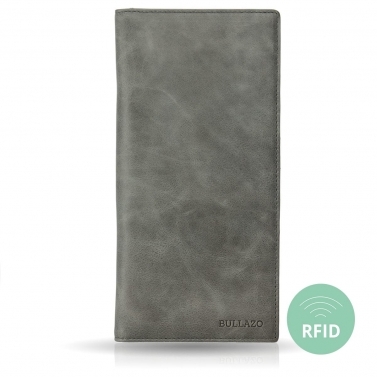 For our passport covers we use high quality, first choice cowhide leather (link to the leather quality page). The passport cases are not only distinguished by their beautiful, soft material, but also by their durability and durability. Whether in black, cognac-brown or grey-beige: the leather develops its own patina over time and thus becomes even more unique. 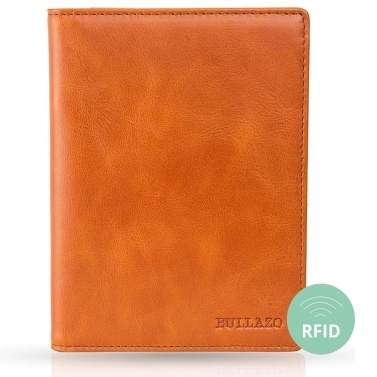 Also discover other BULLAZO products made of the same leather, such as wallets and business card cases. The seams of the passport covers are particularly high quality, as they are not only sewn around but also double stitched.